Including appetizing fresh vegetables for all the family is not the easy way out . However, we can prepare them in a way that is appealing. The recipe that I prepared today makes vegetables attractive and colourful without giving any option to remove not so favourite ones. The ftira remind me in my childhood days…In summer when my late mother usually had plenty of tomatoes she used to cut them in chunks with onions and other ingredients and take them to the baker. That would be the filling of the ftajjar. Mmm I am almost smelling them! Mix sugar and water in a jug and sprinkle the yeast let it sit for a few minutes. In a bowl mix flour and salt. Add oil. Then add water and yeast mixture to form a dough. Cover with damp tea towel and let it rest for an hour in a warm place. In the mean time prepare vegetables. Slice the vegetables. 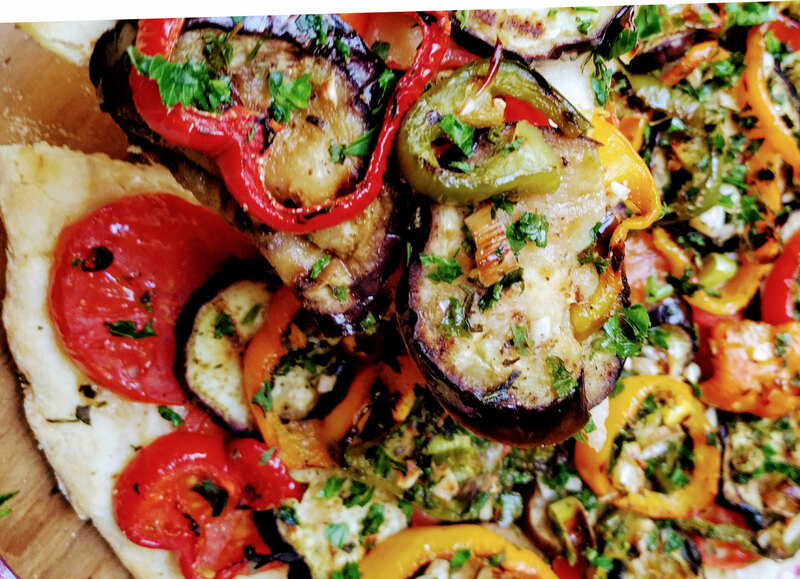 Lightly brush the sliced aubergines and grill them on both sides. Grill the peppers. Divide the dough. Sprinkle some semolina and roll it with a rolling pin. Transfer into two large greased pans. Brush lightly with olive oil. 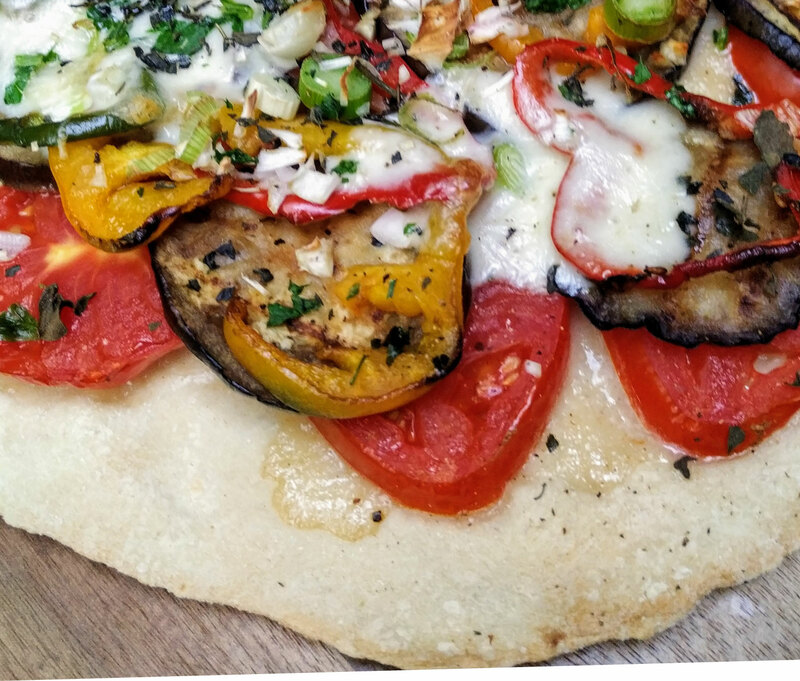 Place the slices of tomatoes, the grilled aubergine and peppers. Sprinkle some garlic, parsley and oregano. Salt and pepper to taste. Drizzle some olive oil. Top up with the mozzarella cheese if using. Bake for 25 min or until edges are golden brown.